HealthTap, the company putting the care back into healthcare by connecting people directly with a network of 16,000+ U.S.-licensed physicians, today unveiled its Top Doctors Competition to provide visibility into the quality of care doctors provide. For the first time, consumers will be able to find the Top Doctors for any health issue, specialization or procedure based on the ratings provided by other doctors who have the expertise to make qualitative judgments on their peers. "It's extremely challenging to select the best doctor for a specific issue. If you want to choose a movie or a pizza shop, there's a world of sites and reviews to help. But there's nowhere trustworthy to go with a vital concern like your health," says HealthTap CEO Ron Gutman. "We've created a comprehensive, high-quality and impartial voting and ranking system to help people find the top doctors who are also the right fit for them. This is a transparent and meritocratic alternative to all the doctor reviews out there that are based on non-qualitative factors." Through the new feature, doctors and patients can have their say in determining which doctors are best in a wide range of medical topics from oncology to pregnancy and from headache to hip replacement surgery and beyond. Health consumers everywhere will benefit from the resulting ratings that combine the expert estimation of doctors' qualified peers with patients' votes on softer qualitative factors such as bedside manner. Doctors can judge their peers based on their knowledge and expertise. They will rise in the rankings based both on their peers' votes and the quality of the knowledge they disseminate on HealthTap. Consumers provide balance to the picture by rating characteristics other than medical expertise such as bedside manner, personality, sense of humor and empathy. HealthTap is already the most trustworthy place online to access the top health information, most cutting-edge research and best doctors for any health issue. By involving millions of doctors and patients in transparent physician ratings, it will also be the premier destination for anyone looking for an objective, qualitative 360-degree view of the best doctors in the nation. 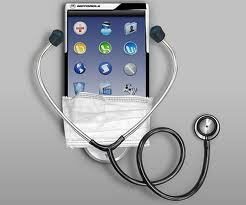 About HealthTap HealthTap is the only source of health information that puts people and doctors first. The company offers immediate access to relevant, reliable and trusted health content that is kept current through daily contributions from top physicians. Its web and mobile app connects HealthTap's Medical Expert Network of 16,000+ high-quality U.S.-licensed doctors with people seeking answers to their health-related questions. Sign up for a free HealthTap account and download their app for iPhone, iPad or Android at www.healthtap.com .